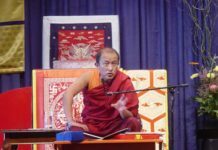 Dzongsar Khyentse Rinpoche made the following remarks in 2016. They have been edited for publication with approval. There are a lot of cultural influences contained in our practice. Not just how we sit and how we recite, but even the shrine, the structure of the shrine, the structure of the mandala—all of this is influenced by culture. This is unfortunate, in a way. But on the other hand, this is the only way. For example, Tibetans include padyam (foot washing water) as one of the symbolic offerings on their shrines, even though foot washing is an Indian cultural thing that has never been practiced in Tibet. These kinds of things are not going to go away. 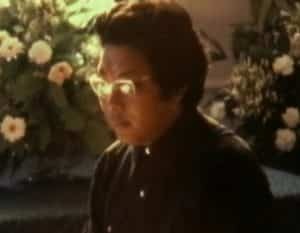 More and more, I think it is just so unfortunate that Chögyam Trungpa Rinpoche died so young. If he were alive, if he were here, he could spontaneously, from his ocean-like wisdom mind, fish out some sort of method of torma offering that is applicable to non-Tibetan minds. And if he did that, all the lamas would be behind him, definitely all the Kagyu and Nyingma lamas. The trust in him is just so strong. 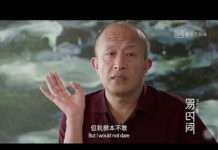 Even though he was at times so unorthodox from a conservative Tibetan point of view, if he came up with something like that, they would follow it. Even if they needed to swallow it with a grain of salt and a lot of chillies, they would do it. But if someone like me were to do it, it would be a laughing matter. And not only that, but it would actually cause harm to the dharma. So, I for one… I dare not. But as I’ve said before, you guys, you baby boomers, you are really lucky. When you were growing up in the dharma, there were some really great teachers, people like Dilgo Khyentse Rinpoche, Dudjom Rinpoche, and Chögyam Trungpa Rinpoche. With such incredible people, you cannot not get inspired. Even if they did something totally foreign, whatever it was they did, even a slight movement, must have created a big impression. I have always thought that Chögyam Trungpa Rinpoche’s idea of ringing this big Zen gong when you chant the Heart Sutra and others chants, like the Takpo Kagyu lineage prayer, is so good. That man had the idea. You know, something simple, something soothing. By the way, you know that this kind of gong does not exist in Tibet? Do you know that? Tibetan bowl? Healing? It is a bit like a Chinese fortune cookie. A Chinese fortune cookie does not exist in China! It exists in America. Now everywhere you go in the Himalayas, they have “Tibetan Singing Bowls,” which never existed in the entire history of Tibet. But now, the Tibetans themselves are selling them and making a lot of money. Trungpa Rinpoche also translated the entire Vajrayogini Sadhana into English. 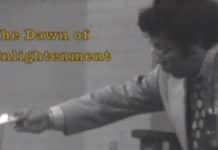 I have experienced Trungpa Rinpoche’s students practicing the Vajrayogini feast several times. 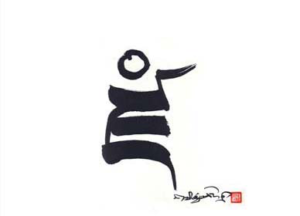 They also do the Chakrasamvara drumchö, translated entirely into English by Chögyam Trungpa Rinpoche. This Takpo Kagyu drumchö is very complicated. It is not so easy! So I hope the present Shambhala people, Vajradhatu people, are treasuring this. Not only do I hope, I urge and I request them to really keep practicing this. When I was contemplating doing this program in English, I wanted to participate in a Vajrayogini or Chakrasamvara drumchö with the Vajradhatu people. I was even thinking of inviting some of them to practice with me for a few days, just to observe what Trungpa Rinpoche has done. But somehow due to laziness, busyness… I never managed to do that. Trungpa Rinpoche started this a long time ago. The fact that a practice such as Chakrasamvara or Vajrayoginī happened to be translated and given to you, placed in your hands! If you know how to think about the significance of such a thing, you’ll see that it’s something quite amazing. You know how long it took for the Tibetans to actually import these things from India? So much hardship! The fact that forty years ago, such a thing happened… Amazing courage. Amazing vision. 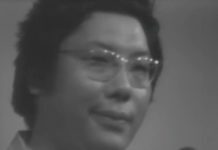 Because Trungpa Rinpoche stayed in the West for a long time, I’m sure he really knew what he was doing; he knew the people here. So there must be specific rituals that he needed to elaborate, or not elaborate to suit the mind here. So I’m asking some of Trungpa Rinpoche’s older students to continue this tradition of Chakrasamvara and Vajrayogini wherever it is convenient, whenever it is convenient. I’m also asking a lot of younger people here to learn from Trungpa Rinpoche’s older students. I’m specifically talking about the sādhanā practices. I have a special interest in this because I really think that you should practice this in your language. So I’m asking some of the older students to really train the younger generation. So please, some of you here who are especially connected to Trungpa Rinpoche’s mandala—through being the children of Trungpa Rinpoche’s sangha—pay special attention to what I’m saying here. And on top of that, those who are not necessarily directly connected to his sangha must also think bigger—and have a bigger picture, a bigger vision. I think it’s important to learn some of these rituals that Trungpa Rinpoche thought were centrally important. This is what I wanted to say. 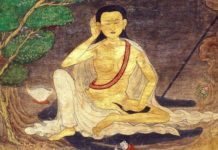 Jamyang Khyentse Wangpo (1820-1892) was one of the greatest teachers, scholars and tertöns of the 19th century. He was a leading figure in the nonsectarian Rime movement. 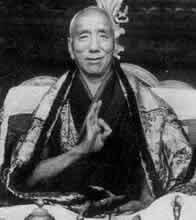 Jamyang Khyentse Chökyi Lodrö (1894-1959), was the primary incarnation of Jamyang Khyentse Wangpo, and a disciple of the Tenth Trungpa. 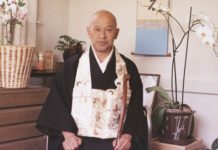 Among his extensive writings is the well known (at least within the Shambhala Community) supplication to the Trungpa lineage, Ocean Waves of Devotion. The Eleventh Trungpa visited Dzongsar Monastery (the seat of the Khyentse lineage) when he was fourteen and received the Kalachakra empowerment from Dzongsar Khyentse Chökyi Lodrö. 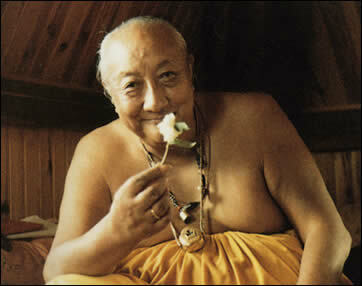 Dilgo Khyentse Rinpoche (1910-1991), was recognized by Mipham Rinpoche as an incarnation of Jamyang Khyentse Wangpo. He was the heart-son of Jamyang Khyentse Chökyi Lodrö and became one of the most profound and influential Buddhist teachers of the 20th century. Chögyam Trungpa met him as a child and later wrote, "I felt drawn to him as if he had been my father..." For CTR's community of western students, Dilgo Khyentse Rinpoche is our kind and majestic grandfather, and spiritual benefactor. 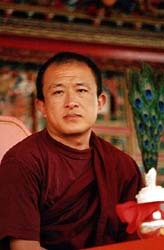 Dzongsar Khyentse Rinpoche (born in 1961), is the primary incarnation of Jamyang Khyentse Chökyi Lodrö, and was educated mainly by Dilgo Khyentse Rinpoche. He also received teachings from the Sixteenth Gyalwang Karmapa and many other great teachers including his grandfather, Dudjom Rinpoche. His first main connection with CTR's students took place in 1987, after CTR's parinirvana, when he visited Boulder, Karme Chöling, and Nova Scotia as a member of Dilgo Khyentse's travelling party.